As omnipresent as Google seems to be these days, there are still a lot of gaps in Street View, particularly in smaller towns. Instead of waiting around for Google to show up, why not make your own street view maps? 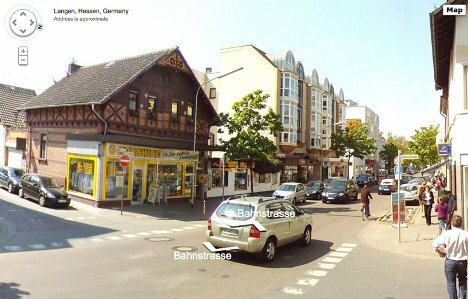 German designer Jan Martin created a system called DIY Streetview which allows anyone to make interactive maps that look a lot like the Google version. The system includes a six sensor 30 megapixel camera that snaps pictures in three-second intervals. The camera assembly can be carried by hand, mounted on a car, or toted around in a backpack. An integrated GPS sensor records locations and orientations, and later helps the user stitch together panorama shots. Martin points out that the system can be used to document places the Google cameras wouldn’t normally reach, like forests or building interiors. A tool like this could be a very cool way to help people find their way around big office buildings, tourist attractions, bike paths and airports. 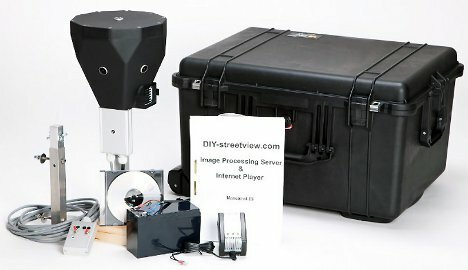 Although DIY Streetview is not affiliated with Google, it uses the Google streetview API to embed custom maps on websites. See more in Digital Design or under Technology. June, 2012.